When I was pregnant with my child, the definitive outcome of single mama-hood loomed as the first Mother’s Day approached. The realization that there would be no flowers or gifts from the person who helped to create this life was downright sad. One day while “pinning” (don’t judge – what else are you suppose to do 8 months pregnant?) I saw a necklace that I absolutely loved. I pinned it and promised myself that next year I would purchase this for myself for Mother’s Day. Fast forward another year and a tiny little box arrived with the necklace I had promised myself when my 11 month old daughter was still in my belly. 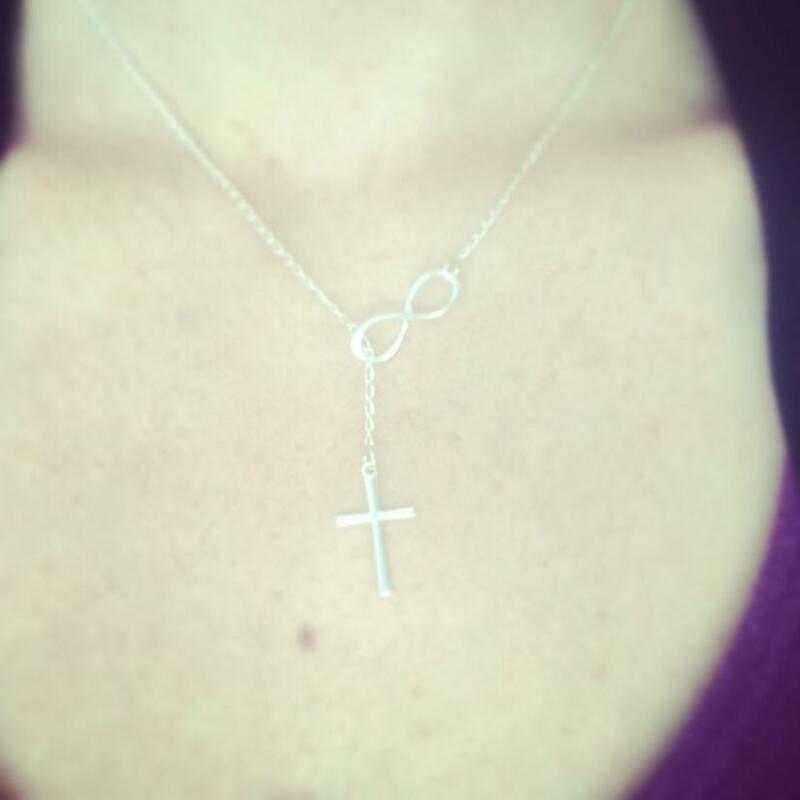 I wear it nearly daily and it reminds me that I am actually never alone. I have a strength and spirit from within to help with the challenges of being a good mother and a good person. The necklace was approximately $12 on etsy.com and I constantly receive compliments on it. It is a small token, but probably the best gift I have ever received. Why you ask? Because I bought it for myself as a reminder that even if I don’t have a partner to encourage me, I do have the Father, Son, and Holy Spirit cheering me on every minute of every day. Single moms, I encourage you to get yourself a gift of appreciation. Applaud yourself for surviving and hopefully thriving throughout the day-to-day challenges only a single mom could understand. Do it, and do it free from guilt. Great advice! I plan to, first I am going to take myself and my mother to brunch at a new place in a part of the city I rarely go and then I may be bold and buy myself an arrangement of succulents, I don’t kill those plants as fast as the others. Happy Mother’s Day to you and all the moms out there! That sounds like a wonderful Mother’s Day! Happy Mother’s Day to you too!! !